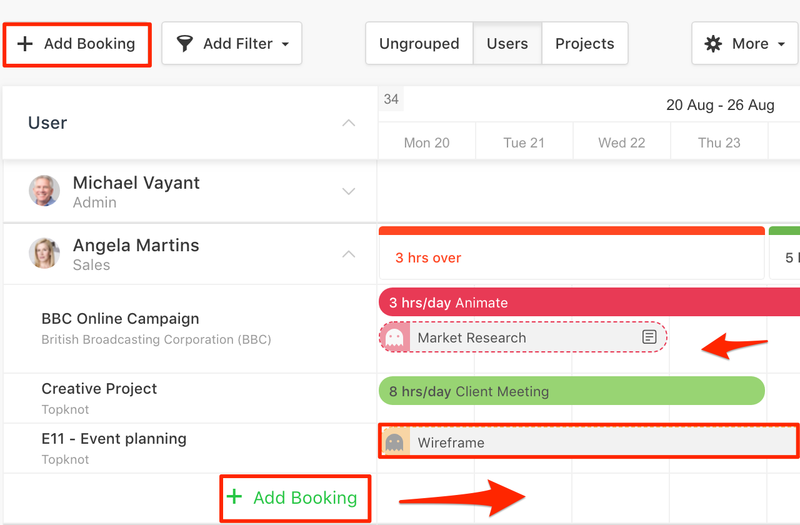 How to create bookings in the team scheduling, how unscheduled work can be used and more. There are multiple ways of adding new bookings: click on the add booking button, click on a ghost booking and convert it into a booking or double click on the calendar. 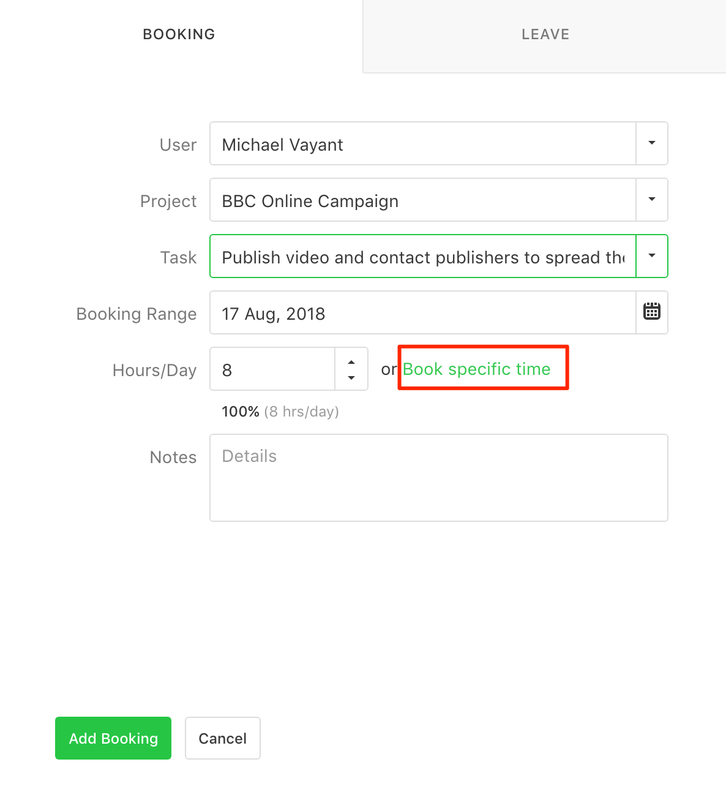 If you hover over an existing booking, on the start/end of the booking you will notice an arrow that will allow you to extend the booking duration. When creating a booking by clicking on the Add booking button, you can select to add a certain number of hours per day or be more precise and select to book a specific time interval which will be clearly visible if the timespan is set to Day. 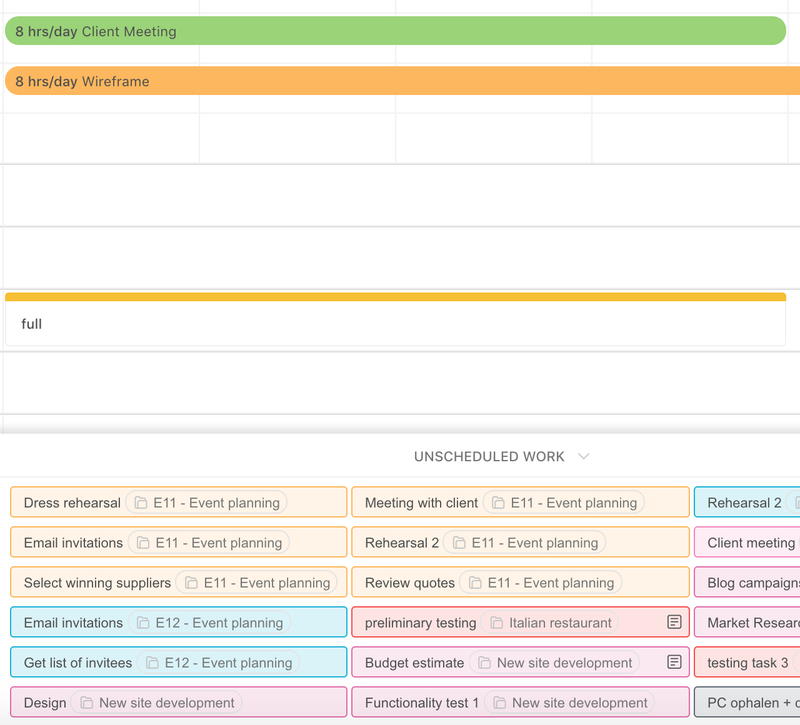 The Unscheduled Work area displays all the tasks assigned to a user that weren't scheduled yet. You can drag and drop them from here to the actual calendar view and the app will direct you to the user and project it's associated with. It's a great time saver when scheduling multiple tasks. When dropping an unscheduled booking on the timeline, it defaults to 1 hour for the Day view and 8 hours/day for the 1, 2, 4 weeks view.